While industrial-grade 3D printers have been around for quite some time now, machines that are capable of producing parts in full color have just recently emerged onto the market. Led by the likes of HP and Stratasys, these additive manufacturing systems are oftentimes extraordinarily expensive and, therefore, access to full-color 3D printing is restricted to manufacturers with deeper pockets. Based out of Boston, the 3D printer manufacturer Rize is also vying for a slice of the full-color 3D printing market. Starting out with the Rize One 3D printer, the company had developed a unique 3D printing process that combined the principles of FDM and jetting to mark 3D printed parts with text or graphics. 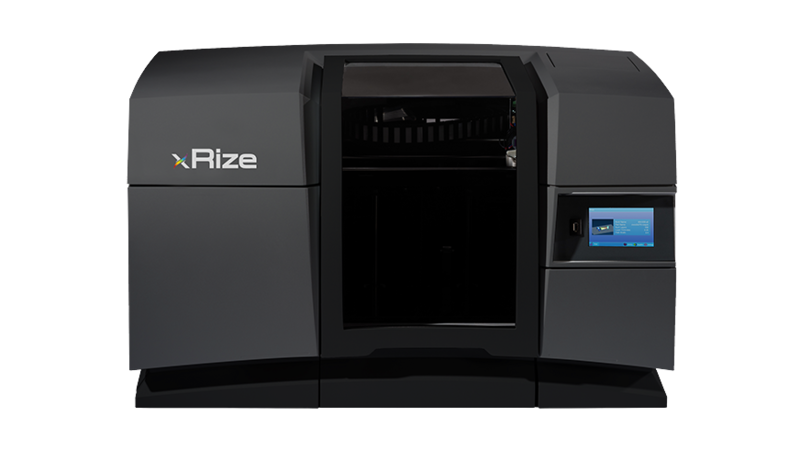 More recently, the manufacturer released the Rize XRIZE, a full-color 3D printer that builds upon the innovative hybrid technology found in its previous model. Utilizing the patented Augmented Deposition process, the XRIZE is able to enhance traditional and fiber-reinforced polymer with color inks. Despite being labeled as a desktop-sized machine, this full-color 3D printer is not designed for consumers and hobbyists. 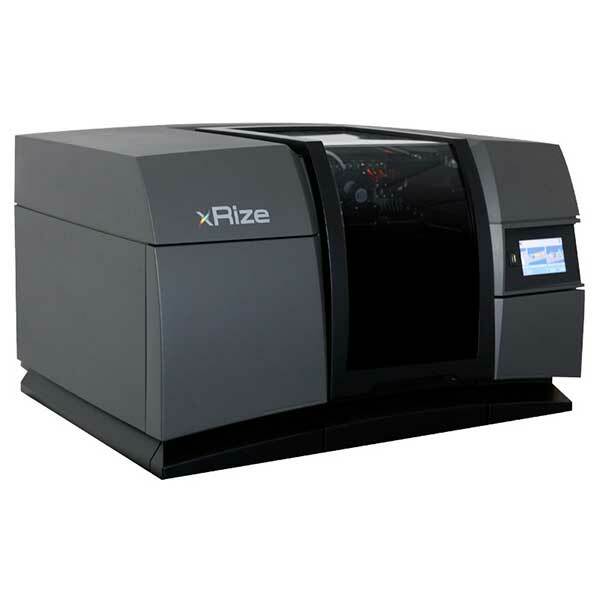 Priced at $55,000, the Rize XRIZE is clearly intended for commercial applications such as general manufacturing, packaging, and others. 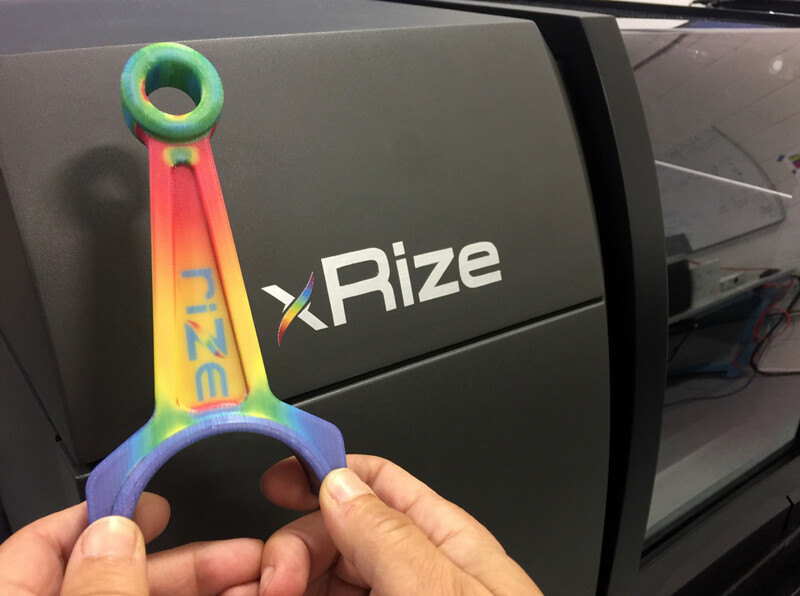 But, compared to HP Multi Jet systems, which cost upwards of $130,000, the XRIZE suddenly seems like a bargain for enterprises looking to add some vibrancy to their prototypes and end-use parts. Aside from price, what sets this industrial-grade 3D printer apart from other expensive options? Let’s take a look at the features and specs to find out. Before we get into the nitty-gritty details, allow us to explain the distinct process that makes this 3D printer so unique. 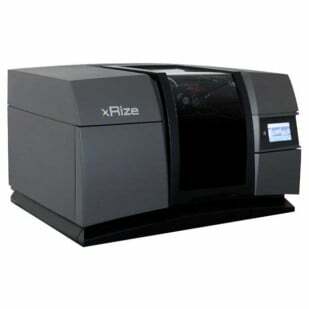 The Rize XRIZE fuses two different technologies to achieve full-color parts that are mechanically sound. The Rize XRIZE utilizes a hybrid technique called Augmented Deposition, fusing extrusion-based 3D printing with jetting technology akin to that used by regular 2D printers. While the engineering-grade thermoplastic part is being created layer-by-layer, the 3D printer simultaneously releases CMYK (cyan, magenta, yellow, black) inks through printheads to add color. By using this process, the XRIZE is capable of manufacturing functional parts in full, voxel-level color. Being a desktop 3D printer, the 310 x 200 x 200mm build volume may be a bit underwhelming for large-format aspirations, though it should be adequate enough for most applications. 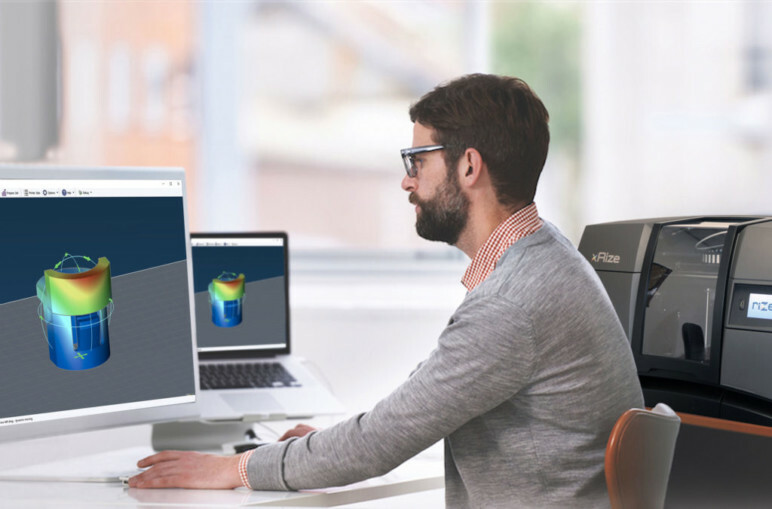 Industrial applications that this 3D printer is best-suited for includes parts for FEA and stress analysis, tooling, consumer goods, packaging design, topography mapping, realistic anatomical parts, props for marketing campaigns, and more. With the CMYK and marking ink, you can add QR codes, part numbers, instructions, safety warnings, and other graphics to the finished part. Like the RIZE ONE before it, the XRIZE also uses the manufacturer’s special Release Ink to separate the actual part from automatically-generated support structures, allowing users to quickly and cleanly peel away the support material once the print is complete. In turn, this minimizes any need for post-processing, demonstrating yet another advantage of the Augmented Deposition technique. While there are other industrial-sized 3D printers that offer full-color 3D printing, the Rize XRIZE does so at a surprisingly affordable price (for a professional machine, that is). Packaged alongside the RIZE XRIZE is the manufacturer’s proprietary OneTouch software, which allows users to add text, images, and texture maps to monochrome part files. 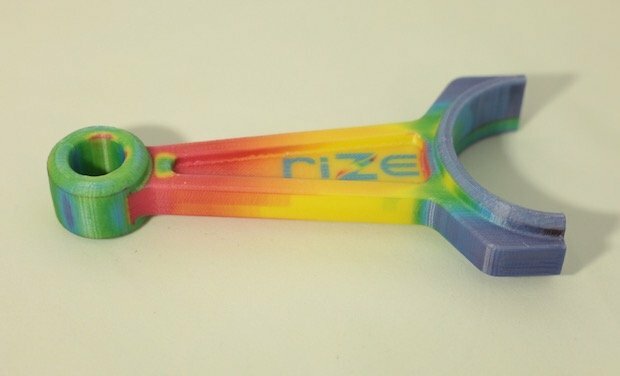 All in all, the Rize XRIZE aims to offer a middle ground for industrial users that need to produce parts that are both colorful and strong. By integrating its groundbreaking hybrid process within a user-friendly system, this 3D printer could soon emerge as the best affordable alternative to industrial-grade additive manufacturing systems created by HP and Stratasys. 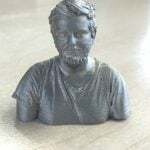 License: The text of "2019 Rize XRIZE 3D Printer – Review the Specs and Price" by All3DP is licensed under a Creative Commons Attribution 4.0 International License.